Jeremy is particularly happy because with the data, he thinks he’ll be able to decrypt Franz Hopper’s journal… However, he will need to activate a tower in order to do it, already knowing what the risks are. But it’s the only way to gain enough machine power to execute the entire decoding process. XANA doesn’t stop there, and tries to take control of the tower activated by Jeremy. He panics when he realises that if XANA succeeds, it’ll have access to the restricted parts of the Supercomputer and can erase a lot of Jeremy’s data: their combat gear, vehicles, and Aelita’s materialisation program! In addition, Aelita is unable to stop the decrytpting process and abort the operation Jeremy started. There’s no choice, Ulrich must go back towards the Tower and isolate it by cutting the cables. Luckily, after an epic duel against his double, Ulrich wins thanks to his pencak silat training and runs to the tower… But he forgets about the last Tarantula, whose powerful laser shots send the boy back to Earth. 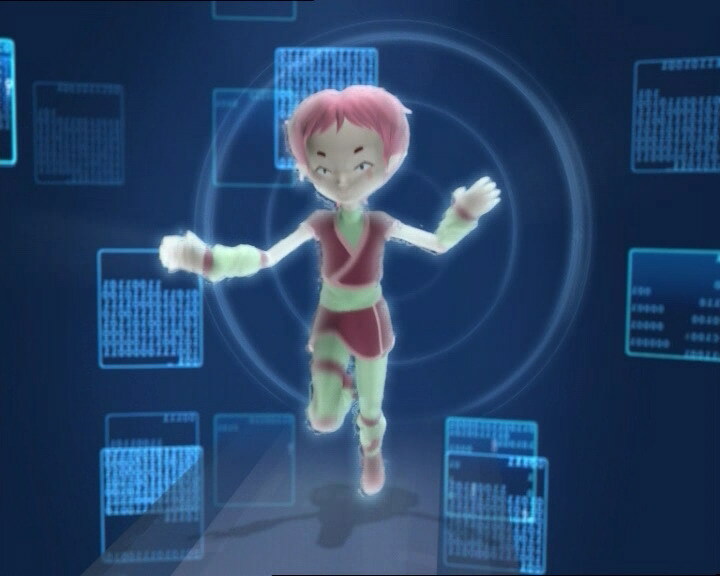 In the journal, Jeremy learns, among other things, that Franz Hopper had a daughter who he brought to Lyoko with him: could it be Aelita? 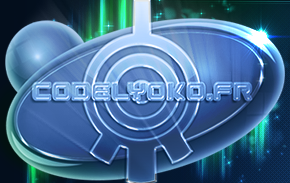 - Attack: Create a polymorphic clone to trap Odd and take his place to cause trouble for the heroes on Lyoko. Try to take control of a tower activated by Jeremy to gain access to his private data. 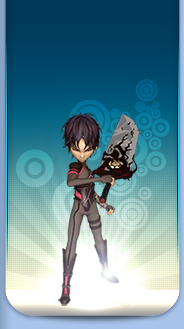 - Virtualisations: All; Ulrich/Yumi/Aelita; Odd (polymorphic clone). - Jeremy activates a tower for himself to decrypt Franz Hopper’s journal in one go. XANA tries to take control of the tower for itself and it’s Hopper who has the final word and allows Jeremy to decrypt his journal. 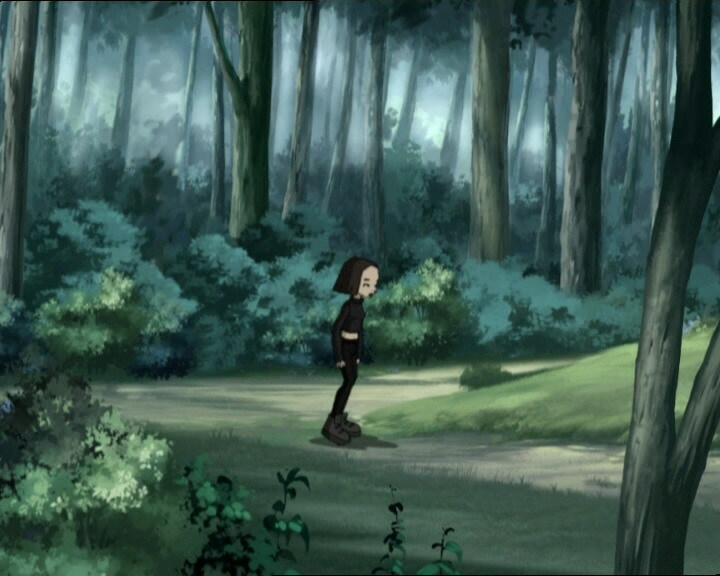 - Franz Hopper is Aelita’s father who brought her to Lyoko with him. - First episode in which Ulrich destroys a Tarantula by driving the Overbike into it! - Odd escapes drowning in this episode. - Jeremy can hack data from telephone operators. - The heroes’ GPAs are: 95.2/100 for Aelita, 73/100 for Ulrich and 75/100 for Odd. - The handle on the door to Jeremy’s room is on the left instead of the right. - When Jeremy wants to reach Odd, the antenna of his phone is on the right instead of the left. 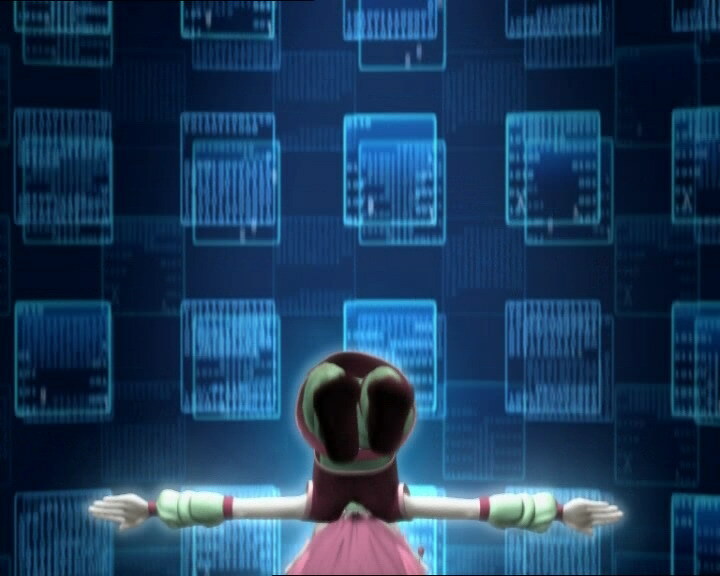 - When Aelita enters the tower and before the decrypting, her outfit is reversed. 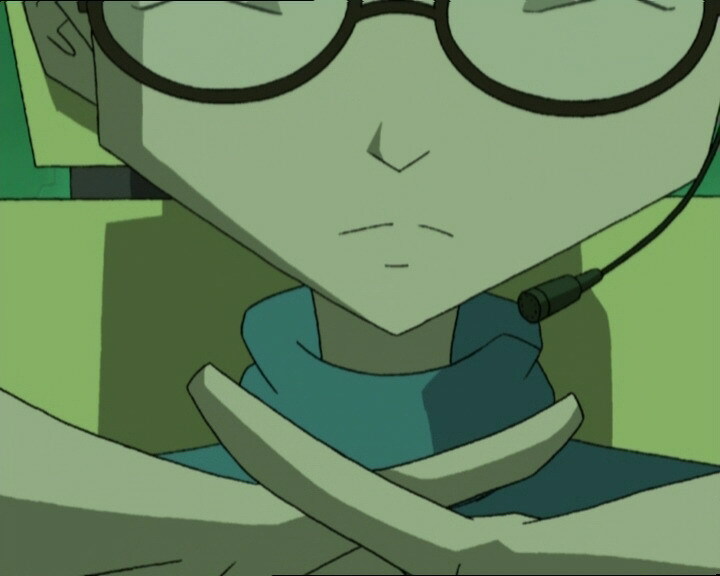 - The factory microphone cable disappears when Jeremy asks Aelita if she’s managed to stop the decrypting. - Yumi’s Overwing disappears when the Tarantulas come to survey the tower and reappears when Ulrich and the polymorphic clone battle outside. - The colours of Odd’s pants are inversed when he sits at the cafeteria table with Aelita and Ulrich and after he puts his phone back in his pocket, and they become the darker shade of purple when Jeremy talks about Franz Hopper’s journal in his room. - First of two episodes in the season 2 finale. - First mention of the cables connected to the towers and their role. - Second mention of the secure access part of the Supercomputer, the first being episode 31 “Mister Puck”. - Only episode in which a polymorphic clone is virtualised. - Franz has more power over towers than XANA does. - The co-ordinates for the tower used in decrypting of Franz Hopper’s journal are 72° south, 55° west! Yumi alludes to the time Jeremy activated a tower to Jeremify Odd in episode 47, “Tip-top Shape” and how XANA took control of the tower to drain Odd’s energy in an attempt to kill him. - When Ulrich fights his clone, he wipes his mouth with his hand and makes the same gesture as Neo and Morpheus in the “Matrix” trilogy to encourage the opponent to fight. Jeremy: With this, I bet I can crack the code of Franz Hopper’s diary! 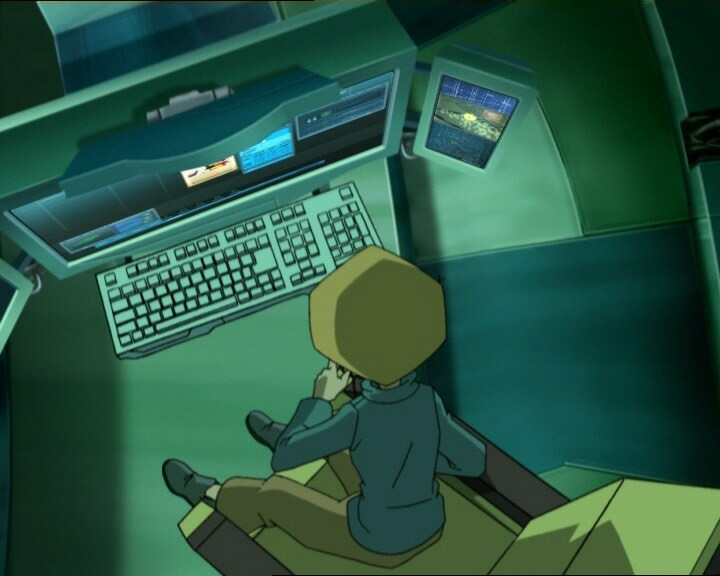 Aelita: The only problem is I’m going to need a supercomputer to process such a large amount of data! I’ll have to activate a tower or two! Yumi: Uh, that didn’t go very well last time. XANA hates it when we play with his toys. Odd: Right, can we go eat now? It’s mashed potato today! Jeremy: You can have mine. I’d better stay here to prepare the mission. That way, we can set out right after lunch! Odd: Um…Jeremy’s not coming, he said I could have his portion too, Rosa! Rosa: With everything you put away I just don’t understand how you can still be so scrawny! Odd: So come on Ulrich, stop holding out on us! What’s your overall average? Ulrich: Seventy-three for the term. Odd: Well me, I got seventy-five! I beat you! Ulrich: Only because you made up some points in art class! What about you, Aelita? What’s your grade point average? Aelita: Um…but it’s only because of math! Aelita: Don’t worry, I know very well I’m not really human. Still, sometimes I get a strange feeling, as if…as if I’ve already lived here…weird, huh? Odd: Oh, that’s just the “magical Odd effect”! You know, you see me once, and you feel you’ve known me forever! Ulrich: Hey, magic Odd effect, you know you got some mashed potatoes right on your face! Odd: Not really. Some girl wants me to meet her in the woods! Odd: The number’s masked. No doubt about it: it’s just another girl who’s too shy to admit she’s crazy about me! Ulrich: You know, Odd, your love life is like something out of a soap opera! Odd: Oh yeah, and yours is real simple, hm? Jeremy: An activated tower? Oh boy, that’s all I needed! Ulrich: I sent him a text message, but was supposed to be meeting some sort of mystery girl! Jeremy: A girl? What girl? Ulrich: Mystery girls don’t leave their names! Jeremy: Not only do we have to decode Franz Hopper’s notes, but now we have to deactivate the tower as well! Polymorphic clone: Here I am, Jeremy! Jeremy: Not a minute too soon, I’ve been trying to call you! Jeremy: Huh? The tower has just deactivated itself! Ulrich: Well that’s one less thing for us to worry about, right? Jeremy: Ok, I’m activating the tower…now! Jeremy: No problem! Whenever XANA leaves us in peace, everything’s cool! Jeremy: Uh-oh, I spoke too soon. Watch out, XANA’s creatures heading your way! Ulrich: Wow, XANA’s pulled out the big guns! Ulrich: Jeremy! XANA’s taken over Odd! Ulrich: Yes, I’m sure of it! Ulrich: I don’t know how XANA did it! Jeremy: I do. It’s not the real Odd. Ulrich: Talk about a tailgater! Worse than Sissi! Jeremy: XANA’s trying to gain control of the Tower. Abort the mission! Stop decoding and come back to Earth! Jeremy: Yumi, where are you? Yumi: In the woods. But it’s trying to find a needle in a haystack! Jeremy: Wait, while I was hacking into the network, I managed to locate the emergency telephone closest to Odd’s phone. Yumi: You can do that? Jeremy: Of course I can! 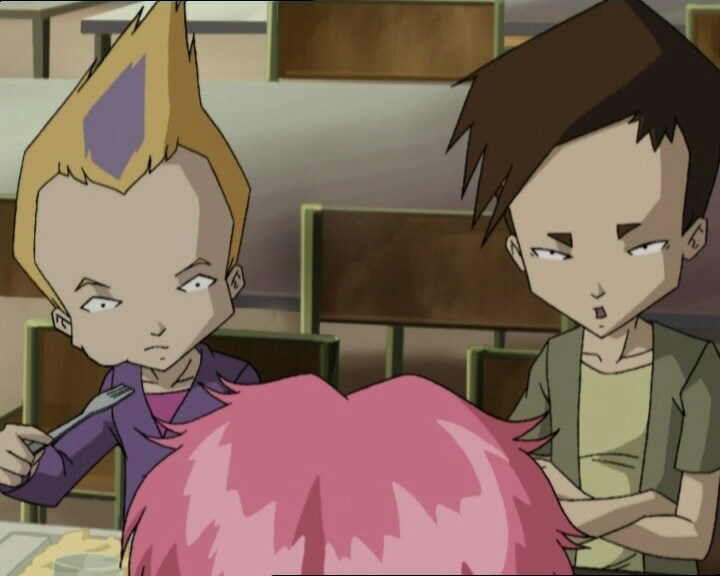 Aelita: Jeremy, we’ve got a problem…I can’t stop the decoding program! It’s taking up too many resources, it’s out of my control now! Jeremy: Bad news: if XANA manages to get control of the tower now, he’ll be able to get into the restricted access part of the Supercomputer! I could lose all the data in Franz Hopper’s diary! Jeremy: Ulrich! XANA’s about to get control of the tower, you have to stop it! Ulrich: You’re wasting your time, XANA! Odd has never beaten me yet! Ulrich: Uh…yeah…well ok, uh…that changes things…! Aelita: There’s no way to stop the process! Everything’s buggy! Ulrich: Hey, you’re not so bad there, XANA! Full of surprises, huh? Odd: It figures, at least I don’t have to climb anymore! Aaaargh! Well I guess you could say I’m really up to my neck in trouble this time! Aelita: I don’t get it, it looks like XANA has lost control of the tower! Jeremy: Franz Hopper! Franz Hopper’s helping us! Odd: No girl’s ever kept me waiting that long! Jeremy: Franz Hopper was the creator of XANA. 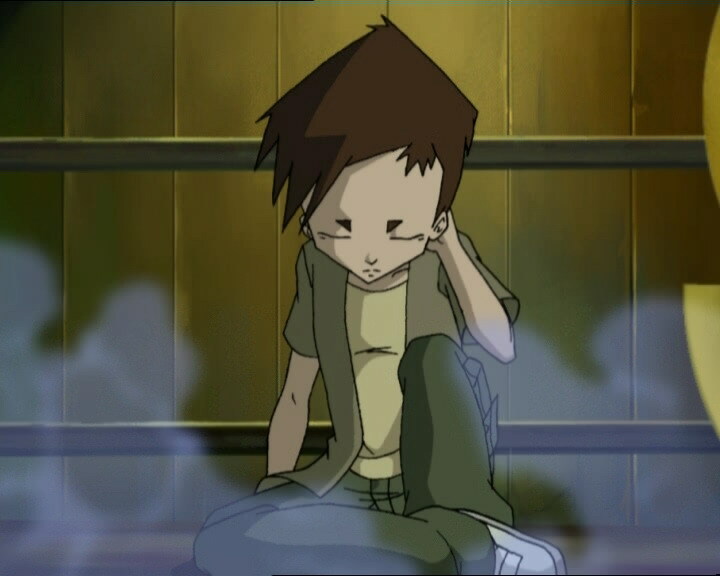 In his diary, he wrote down everything that happened during the creation of Lyoko. Everything. Jeremy: Yes, but what we didn’t know, was that he had a child. A little girl. Odd: Really? Well what became of her? 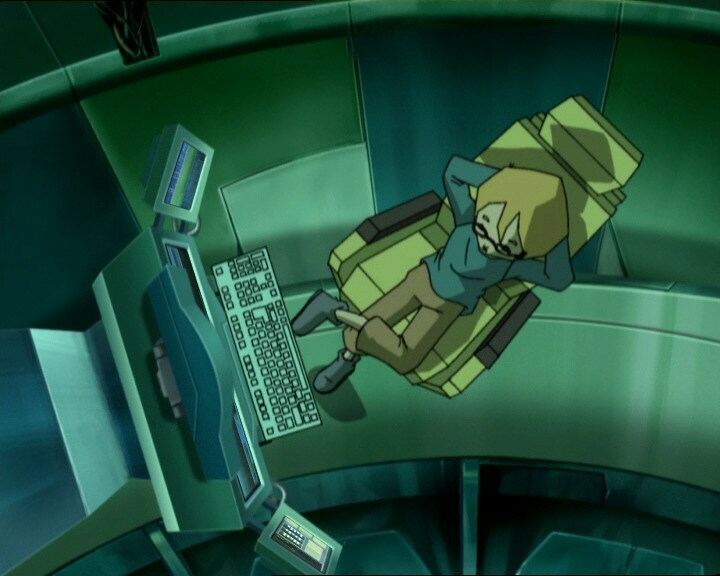 Jeremy: He virtualised her on Lyoko at the same time as himself. Yumi: And? Did she fall victim to XANA too? Jeremy: No, she stayed on Lyoko. 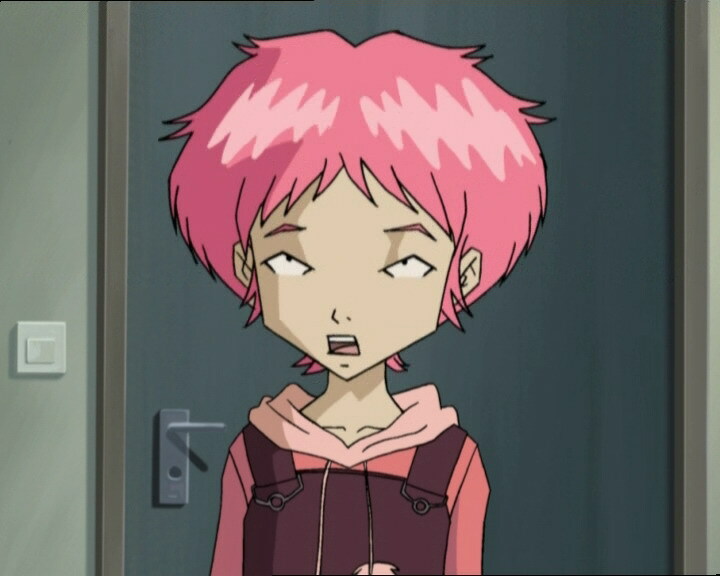 Aelita: Huh? But that’s impossible! 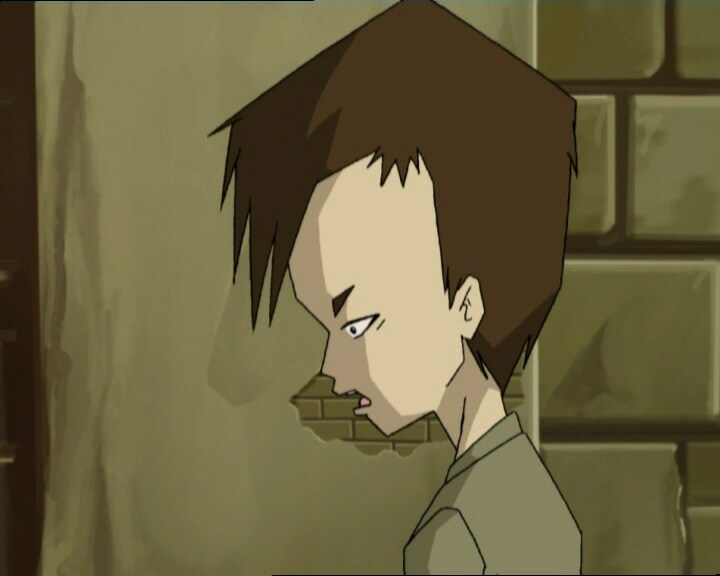 If Hopper’s daughter were on Lyoko, I would’ve definitely known, I…! …I’m…not… (Jeremy nods) …oh!